Oh I love pickles - could just crunch into one right now - peanut butter and pickle sandwiches - yum!!!! Would share one with the Bman any day! Peanut butter and pickles??! I'd love to see what that looks like. Then we need to put some maternity clothes on bman..cuz I think he's craving!! Do you have ideas for Halloween yet? I've got some bag ideas up my sleeve! i bet he did! we had the same one couple of weeks ago.... btw; notice how the name resembles MY name??? thats why he MUST have enjoyed it very much! LOL!!! Pickles, pizza? BTB is definitely pregnant! Try it - they are surprisingly nice sandwiches!!! Will be thinking about Halloween poses but first I have been thinking of what he can do in Dublin!!! Woop!!! 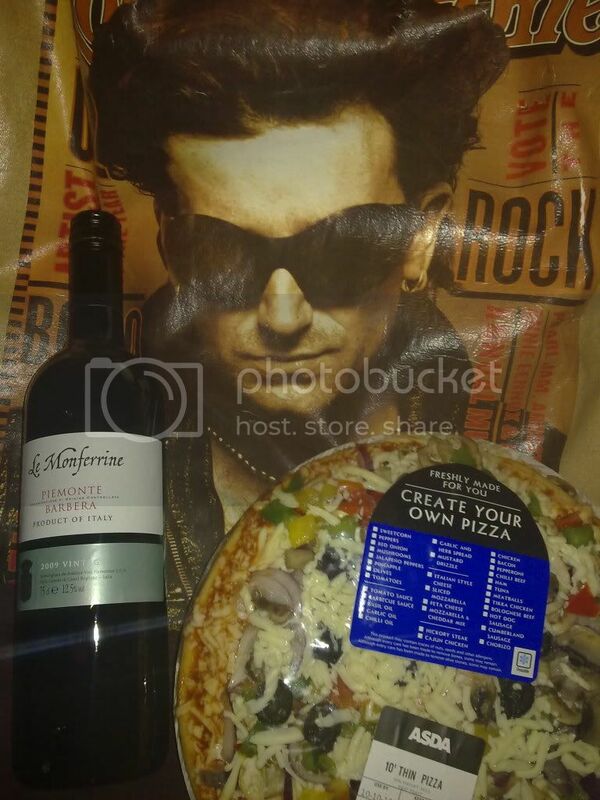 Hoping for the ultimate pic of Bono-the-bag with Bono!!!! - Please let this happen!!!!!! U2LAWoman']Peanut butter and pickles??! I'd love to see what that looks like. Then we need to put some maternity clothes on bman..cuz I think he's craving!! Do you have ideas for Halloween yet? I've got some bag ideas up my sleeve! I'll have to try your PB and Pickles sandwitch!! lol.. And wow.......that would be the coolest. 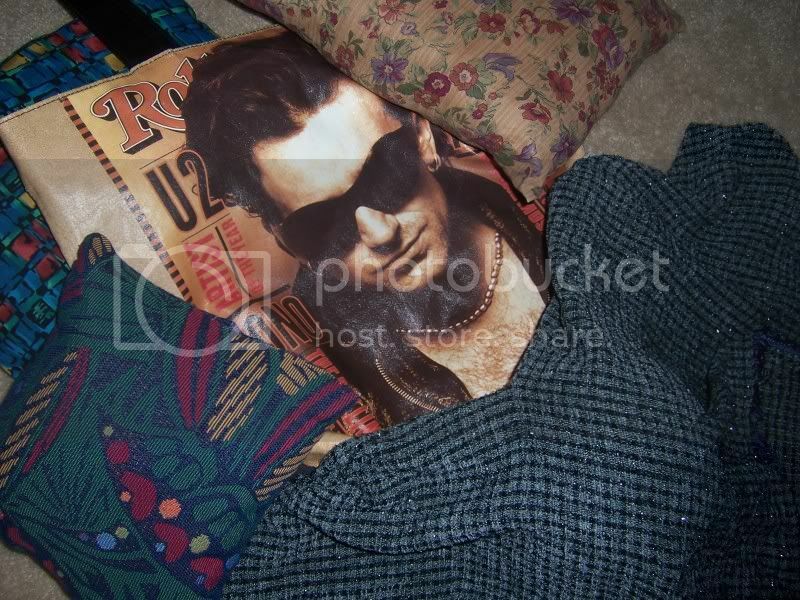 Having a pic of Bono with the Bag. Or you...carrying the bag next to the Real Thing.....Oh......my.....IF this happens..I think I'll scream for you!! And I might have you bring to him one of my favorite BTB pics.... a special one for the Bman to sign!! That would be the coolest, Zhivv. Good and postive vibes going your way for this to happen. Either way, I'm sure your Dublin trip will be the best!! BTW I offered to send postcards to anyone who wants one from Dublin, so if you do, pm me your address and I will send you one! And can also write a message n the studio wall on your behaf if you want too!!!! Just let me know! Is he gonna give birth to a small wallet lol! if he does, i want that wallet!!! no problem! he can even spend the holidays with aunty nikki each year!lol! I'll be ready for him anytime!! Hey nearly time for BTB and halloween and then BTB and Christmas! its passed midnite!!! gonna give the mango-pics another go! yay ! mango pics :-) and i hadn't even thought about Halloween and Christmas! oh, the possibilities! nothing yet, till to slow... checked my page at provider-site, says my volume is used up and will be reset on nov 15, between 0 and 1 am?! WTF?! that'd better be a typo!!! that is too late - if you want do you want to email them to me and i can post them for you? barbara1']nothing yet, till to slow... checked my page at provider-site, says my volume is used up and will be reset on nov 15, between 0 and 1 am?! WTF?! that'd better be a typo!!! must be mistake! we get a reset every month at the 15th between 0 and 1am. so tonite it should be on maximum again! how can it be used for the next 30 days, if that periode didnt even start yet????? Hope it is just a mistake! they' d better fix it sson , if they don want a very angry customer on the phone tomorrow! Zhivvy']Hope it is just a mistake!